Start your new Christmas tradition. 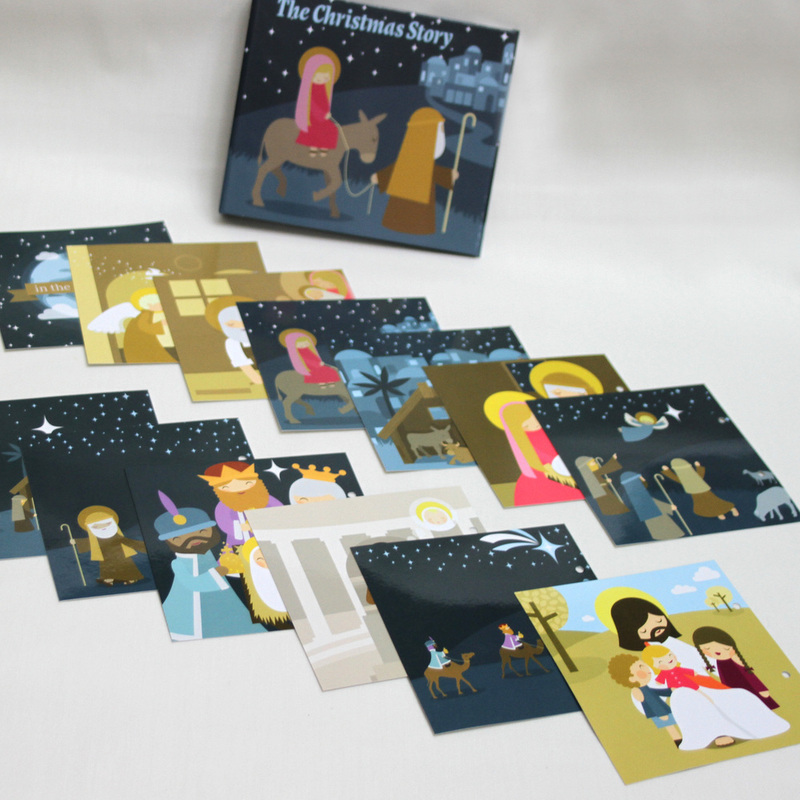 The Nativity Advent Kit gives you everything you need to to focus on the Christmas Story. 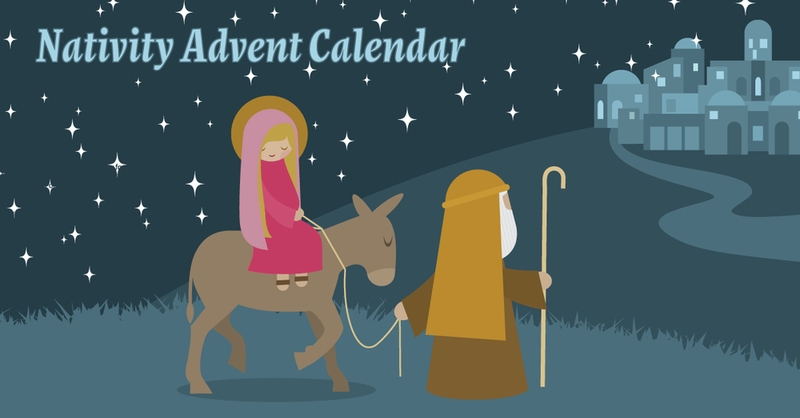 In the days before Christmas your children will be eager to run to their Advent calendar to learn a new step in the Nativity story. A lovely, natural cotton cord can be wrapped down your staircase or hung across your fireplace. Hanging from the cord are 13 carefully labeled linen bags - counting down the days to Christmas. 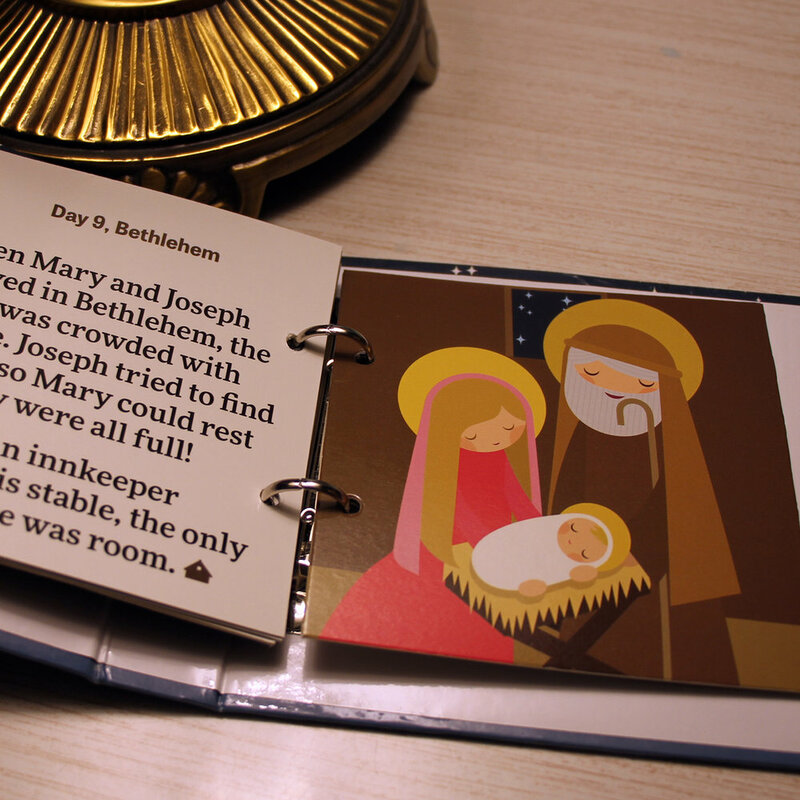 Each morning, your children can remove that day's bag and read the glossy paperboard card that tells a step in the Nativity story, and along with their lesson is a treat you have left them for that day! After the card is read, it can be placed into a binder for next year, or each story can be re-read the following days to reinforce them. Parents can rest easy though, knowing all the parts are washable or can be wiped clean, just in case of accidents. How does the Advent Kit work? • Remove the cards from the binder and place each one in the appropriate countdown bag. • Add any treats or small toys to the bags. • Optional: If you have the Nativity Ornament set, you will find that you have 13 ornaments that match each page of the book - tuck those into the bags as well! Drape the decorative rope across your fireplace mantle, along your staircase, or on the wall. For the mantle, we recommend The Original Mantle Clip. Secure the full bags in descending order along the cord using the velcro straps. Each day take down a bag and read the story card. When you are done, place the card in the two ring binder provided for safekeeping. Optional: Place day’s matching ornament on the tree. Bonus: Decide when you want to place the Holy Family ornament on the tree - make it a special treat!